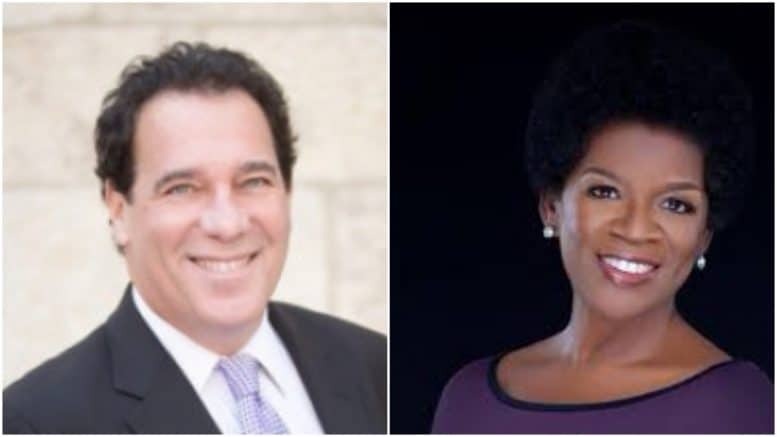 Multiple sources have told A Miner Detail that former Montgomery County Councilwoman Valerie Ervin sits atop Baltimore County Executive Kevin Kamenetz’s (D) shortlist for lieutenant governor. First elected to the County Council in 2006, the Silver Spring Democrat represented the District 5 seat – Silver Spring, Takoma Park, Lyttonsville, White Oak and Burtonsville – until she resigned on Jan. 3, 2014 to serve as executive director of the Center for Working Families, a New York-based progressive nonprofit group that assists low-income families and promotes economic and social justice. Before her election to the County Council, Ervin was elected to the Montgomery County school board in 2004 and served until she joined the County Council in 2006. A progressive champion for education and the working poor, Ervin’s seven years on the council was not without controversy. On many occasions, Ervin’s unabashed rhetoric and pugnacious style clashed with her colleagues on the council, as well as Montgomery County’s longtime County Executive Isiah “Ike” Leggett (D). Ervin explored taking on Leggett in the 2014 Democratic county executive primary but later halted her plans, acknowledging the virtually insurmountable hurdle of taking on an incumbent county executive and a former Montgomery County executive, Douglas M. Duncan (D) – both in fundraising and in name recognition. Former Montgomery County Councilman Phil Andrews also ran for county executive that year but was defeated by Leggett in the primary. July 1, 2015, was another pivotal day for Ervin’s political career: She announced her bid for Congress in the already crowded 8th Congressional District Democratic primary. A little over two months after announcing her congressional bid, Ervin dropped out of the Democratic primary, telling supporters on her campaign Facebook page that she could not raise enough money to compete. Former state Sen. Jamie B. Raskin (D) went on to win the District 8 primary in June 2016 and was later elected to Congress in November. Recent polling shows Prince George’s County Executive Rushern L. Baker III leading the seven-person Democratic primary race for governor. Baker, a former state delegate and two-term county executive, is considered by many the establishment frontrunner in the battle to take on popular incumbent Republican Gov. Larry Hogan. Baker has been endorsed by a number of prominent Maryland Democratic establishment figures, including U.S. Sen. Chris Van Hollen (D-Md. ), Md. Attorney General Brian E. Frosh and Montgomery County Executive Ike Leggett (D). Kamenetz, however, has the most money in the bank among his Democratic opponents – $2 million – with approximately 91 percent of his campaign dollars coming from Maryland but with the least amount of small-dollar donations. The twice-elected Baltimore executive collected much of his campaign cash from Baltimore developers. Kamenetz’s possible pick of Ervin, says another Maryland political scientist, could help bolster his support where he needs it the most – Montgomery County. According to a recent Gonzales poll released earlier in January, Kamenetz trails Baker among Maryland Democratic primary voters by less than ten points at 14.2% to Baker’s 24%. When reached for comment yesterday, a Kamenetz campaign spokesman said that the county executive is looking forward to soon announcing the “next lieutenant governor of Maryland” but that the campaign is still vetting candidates and narrowing down its list. This is a huge primary for Democrats, because everybody has on their mind how we’re going to take back the state house from the Republican governor, which was such a shock to the system here in Maryland when Hogan actually won his election three years ago; so everybody is really focused and working very, very hard to try to elect a really, really good progressive Democrat to run against Hogan in this cycle. An early and vocal proponent of former Lt. Gov. Anthony G. Brown’s (D) gubernatorial campaign in 2014, Maryland political insiders expected Ervin to be appointed to a post in a Brown administration. The former lieutenant governor, however, was defeated by Larry Hogan in the 2014 November general election. Ervin is a University of Baltimore graduate and a mother and grandmother. The last day to file for public office in Maryland is Feb. 27 at 9 p.m.